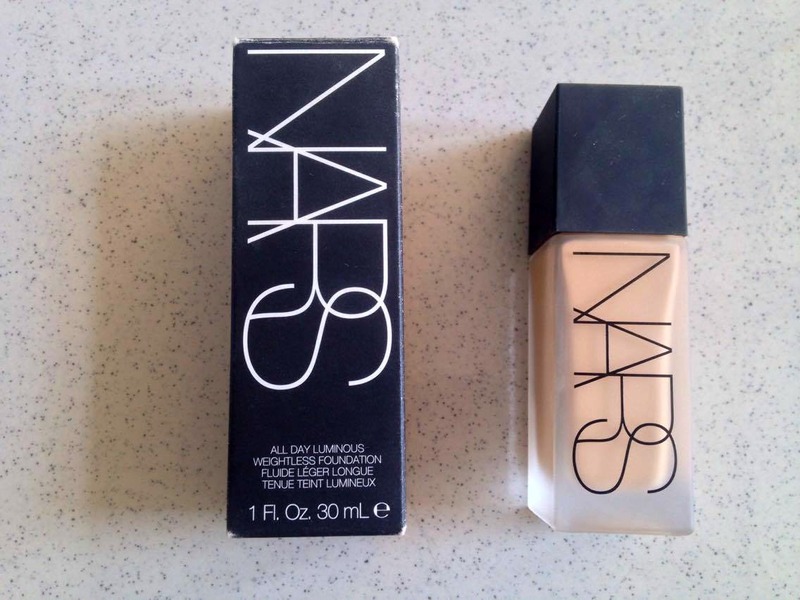 " NARS All Day Luminous Weightless Foundation (Product Claims) : Full, natural-looking coverage with unexpectedly weightless, 16-hour wear. Highly pigmented and perfectly balanced, this breakthrough formula builds and blends effortlessly with just one drop—the result of exclusive innovation uniquely designed to deliver long-wearing full coverage, weightlessly. Shake, pump and blend in sections for complete coverage that’s completely natural looking. Even Tone Technology is designed to instantly neutralize redness and dullness, while working long-term to reduce the appearance of discoloration for more even, uniform skin. Gold and green pigments in a perfect 4-to-1 ratio optically manipulate how light reflects off skin’s surface, evening the complexion for instant luminosity. Green pigments negate redness on contact, while gold combats dullness. " 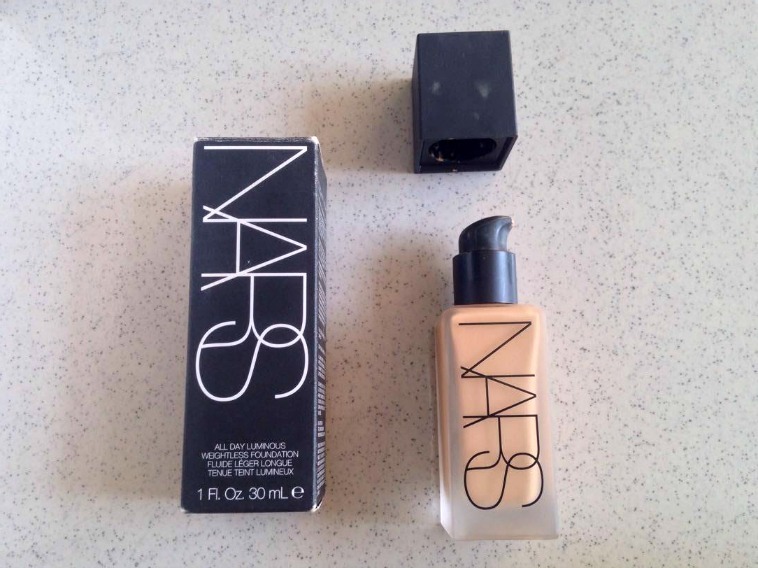 The NARS All Day Luminous Weightless Foundation is my first foundation from the brand. 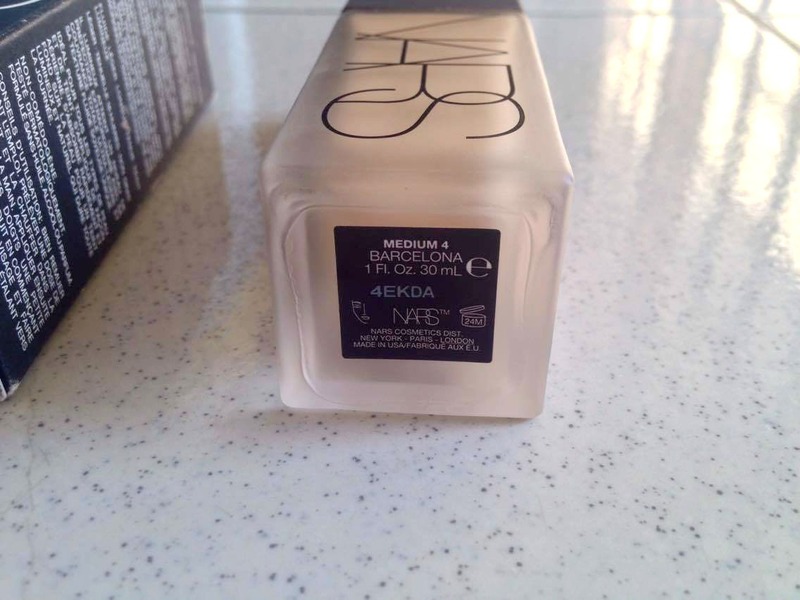 I got this at the NARS store located at Suria KLCC last year for RM 180 and I have been using it ever since. The girls who worked there were so helpful and friendly. They assist me to get my self colour-matched. The first shade they had me to try on was Syracuse and Stromboli but both seemed to be bit either too olive or too reddish for my skin. Then I picked up the shade Medium 4 - Barcelona which seemed to be a good match for my medium complexion with golden/yellow undertones. Barcelona might look lighter than my face but after blending it well up to my neck area and topping it up with my powdered foundation, it seem to suit me pretty well! The foundation comes in a frosted glass bottle which comes with a pump which is great because personally I feel it is much easier to deposit the foundation through a pump rather than getting it poured out from a bottle (which can get a tad messy) especially with a runny foundation like this one. 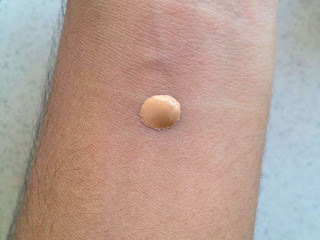 This foundation has a runny texture which i feel that it will make it easier to work with. 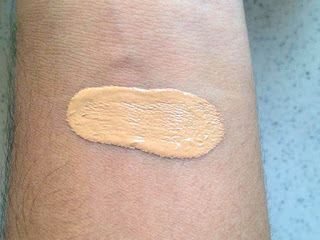 The foundation appears dewy but when you start to apply it and blend it with will turn into this matte texture (not drying). So those who has dry skin its crucial to moisturize your face before applying this foundation. I use a buffing brush or a beauty sponge (both from Real Techniques which I got it from Shins) works well with this foundation. It feels silky soft on my skin. It is said to be luminous in which I can agree as it has like of a satin finish on my skin. And by "luminous" it doesn't contain any shimmer or glitter in it so the luminous effect comes of naturally. It is claimed that one pump of this foundation is able to cover the whole face BUT I can honestly say that it is slightly incorrect. One pump of this foundation was not enough for me. I actually needed at least two pumps to get the right coverage that I want. If I feel that I need more, I will add on another pump. This foundation is full coverage and by full coverage I don't mean thick, heavy or cakey. It is actually formulated to be 'weightless' with a 'runny' texture to not only feel light on the skin but also heavily pigmented which is what makes it full coverage. Make sure to shake the bottle before usage and a little does go a long way! The product claims to be a 16 hour long wear but I don't think it stood that long on my face. If you want it to be long lasting you need to touch up in between if you plan to wear it for a long period of time OR get a thick, full coverage foundation. 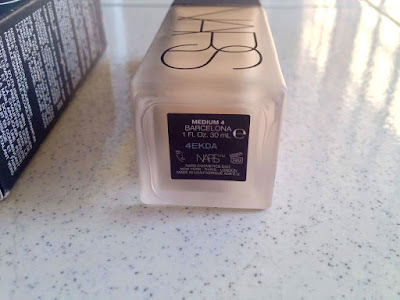 I set the foundation with a powder based foundation and also a loose powder and it did stay well on my face. However I do feel that I need to touch-up or blot my oily areas especially the T-zone but besides than that I don't find any problem with it. But its not 100% transfer resistant as it can transfer due to humid conditions. I honestly think that with 2 pumps I don't feel that it is thick/heavy on my skin and it really lives up to the claim that its weightless. 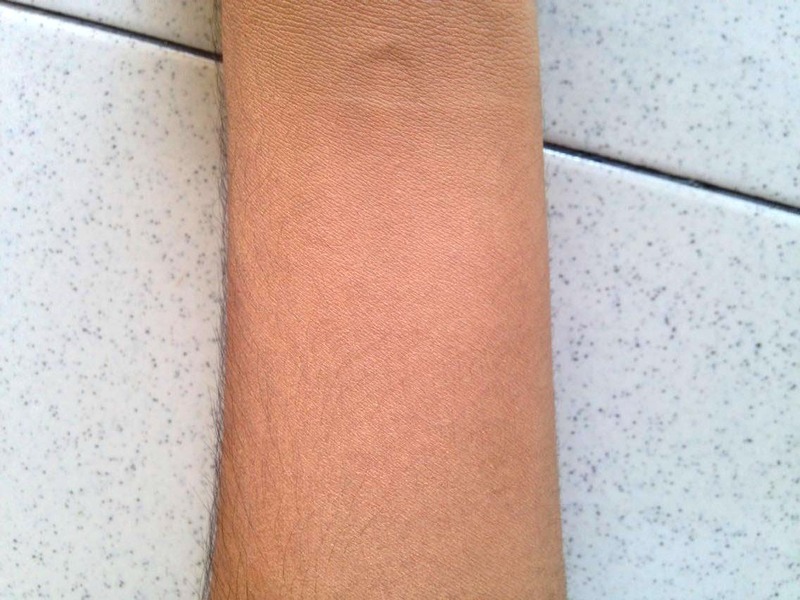 I really love the satin luminous matte finish of this foundation that it gives. The packaging gives off a classy feel. But if you are looking for a foundation which can last you up to 12 hours or more, I am afraid to say that this foundation is not the one. But besides that, this is my current go to foundation. This foundation comes in 20 different shades for anyone with all colours and it is fragrance-free. I would rate this product 4/5 stars!